Maria Bhavan, Bangalore: Around our Scholasticate, we have so many Religious Congregations where the students are trained for the Priesthood. 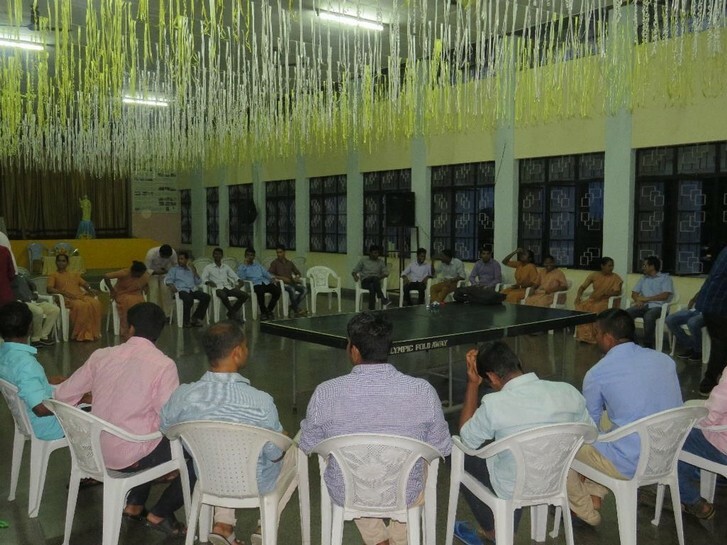 Every month the Recollection talks are arranged in consultation of the Superiors in different Religious Institutions and the month of September was our turn to organise this programme. On 29th Morning Fr. Jason who is the administrator of Maria Bhavan gave an inspiring talk on “Consecrated Life.” The participants were around fifty, all of them had benefited from the talk and thankful to our community. On the same day evening, we all had Montfortian Get Together in Maria Bhavan. For this gathering, Montfort Sisters and Montfort Brothers were present around 30 excluding our community members. Fr. J Joseph smm, the Vicar-provincial was the speaker of the day and the theme was “Wisdom Spirituality: A key to Understand Montfort.” In his talk, he emphasised the Vocabulary, the theme of Wisdom, Dimensions of Wisdom, the means to acquire Wisdom and the effects of Wisdom, his talk was an enlightenment for us. After which we all had group games followed by a fellowship meal. To grace this occasion Fr. Michael Sahayaraj our Provincial and other conferrers were present and we are grateful to them for their loving presence. May Spirit of Montfort breathe in us and guide us to make known Eternal Wisdom and Mary in our Mission.